Happy Halloween everyone! Instead of going out trick or treating this year I'll be chilling in the bath tonight with some of these products from the Lush Halloween 2018 collection. Lush are one of the few brands that actually bother to bring out Halloween products so I always look forward to seeing what goodies they have on offer. Last weekend I finally managed to pop over to Leeds & pick up a few treats. The main thing I wanted to buy was the Bewitched gift set. For £26.95 you get a soap, a bath bomb & two bubble bars along with a fantastically spooky knot wrap. They have loads of different limited edition bath products for Halloween but in my opinion this set features some of the best smelling products & the design of the reusable packaging was just too cool to resist! I don't often buy bath bombs anymore as I prefer the moisturising qualities of bubble bars but Lord Of Misrule is a Halloween treat that's not to be missed! 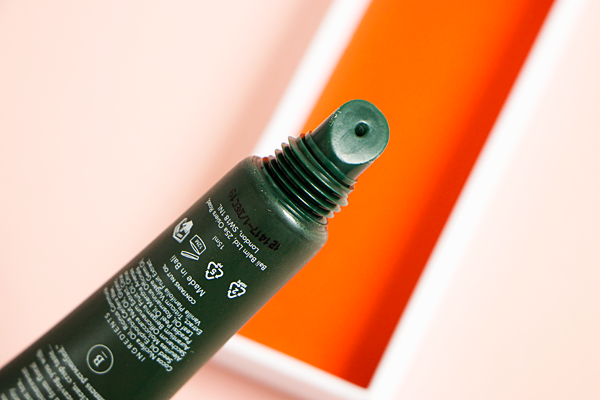 When you first put it in the bath, this bomb turns the water into a creepy shade of slime green. As it continues to fizz the bomb cracks open to reveal a pink centre which creates some gorgeously gross looking bath art. It also has popping candy inside which crackles as the bath bomb dissolves. Once fully dissolved the entire bath turns a deep wine colour. It's a really fun bath bomb to watch! Of course the best part is the smell. The powerful scent comes from a spicy herbal blend of patchouli & black pepper oil along with vanilla for sweetness. It's warming & relaxing, perfect for a cosy night in. There's much more to this adorable little ghost soap than meets the eye. If you get him wet, he actually glows in the dark! Not a huge amount but it's still a fun gimmick for Halloween. Lemongrass & bergamot are two of my favourite fragrances so I really love the smell of this soap. 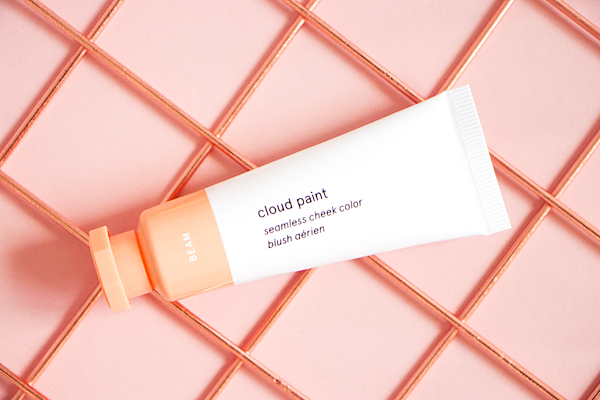 It's a tangy & sweet citrus scent that lingers on your hands or body for ages. The soap lathers up well & feels creamy on the skin. Solid soaps can be quite drying but Lush make some truly lovely ones & Ghost In The Dark is no exception. 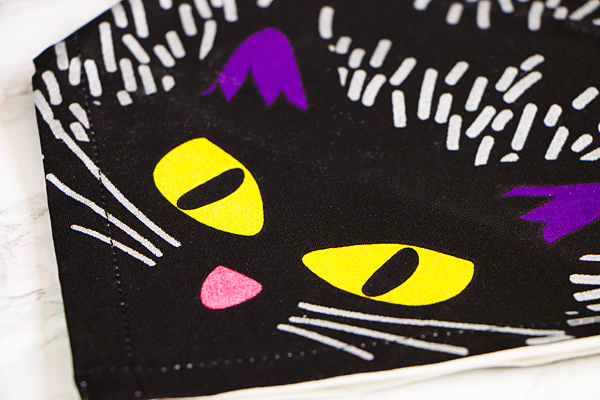 It wouldn't be Halloween without a black cat! 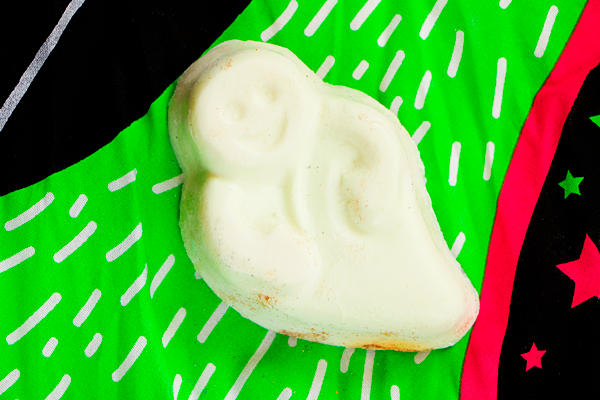 This bubble bar features frankincense & bergamot oil to make your bath smell completely magical. 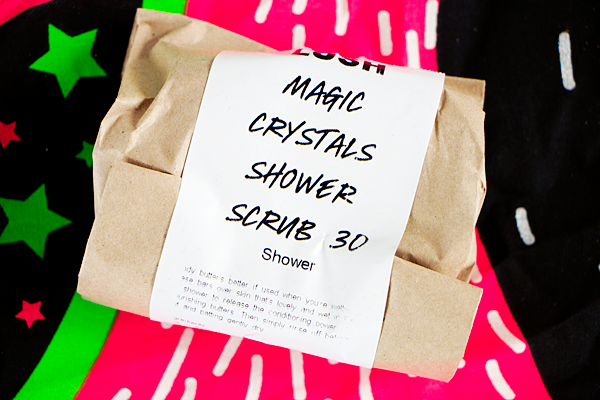 It's sweet & woody, fruity & refreshing and unlike anything I've tried from Lush before. Like most bubble bars it can be crumbled in parts to make it last longer but if you only use a little bit the water will turn a weird grey colour which isn't the prettiest thing to look at. I'd recommend using the whole thing to turn the bath water fully black. Bewitched creates a ton of bubbles & it made my skin feel super soft. I hope that Lush come out with more products using this scent as it's very unique & something I'd love to experience more often. 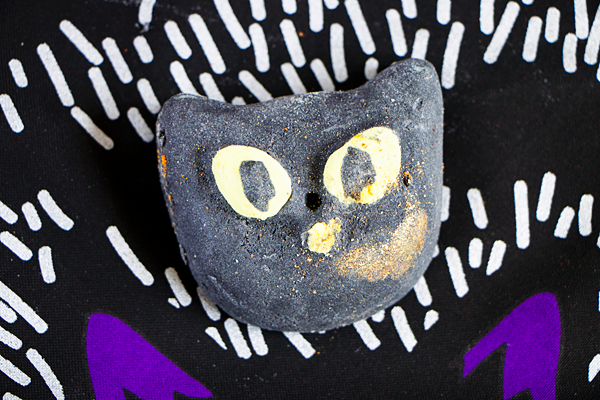 This bubble bar was the product that made me want to visit Lush at Halloween in the first place. I love anything sparkly or pumpkin related so this little beauty has been calling my name for a while. 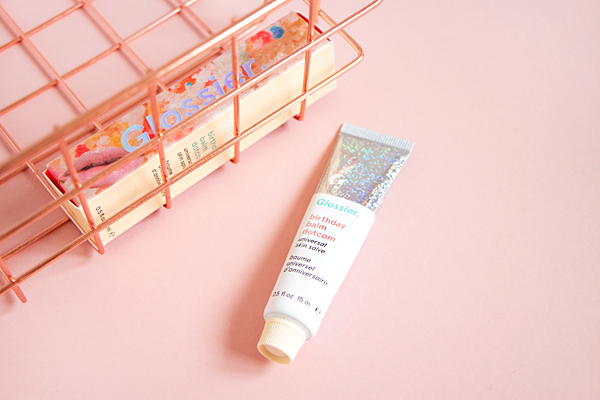 This is definitely the messiest product in the set as it's covered everything else with orange glitter but at least it'll be a lot of fun to use in the bath tonight. 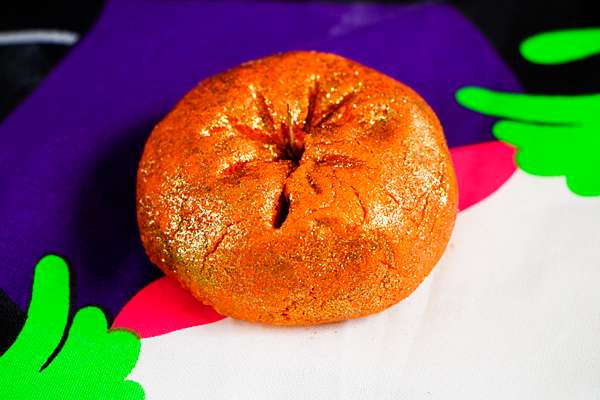 Sparkly Pumpkin turns your bath water a rich orange colour & creates mountains of skin softening bubbles. 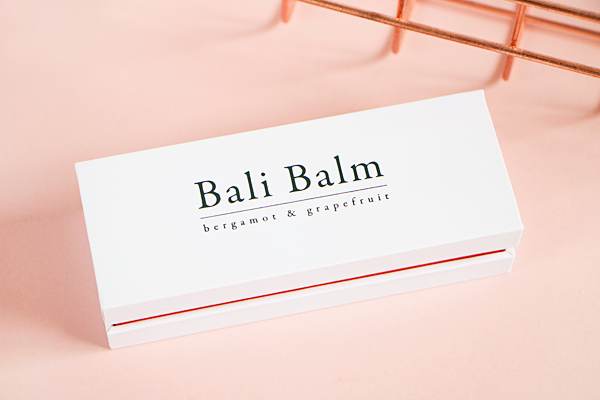 The blend of juniperberry, lime & grapefruit oils is truly gorgeous. It's a combination of warming spices & uplifting citrus zing. This bubble bar is the ultimate Autumnal treat, I just wish it was available all year round! Lush have also brought out two new body scrubs with their Halloween collection but these products will be joining their permanent lineup. 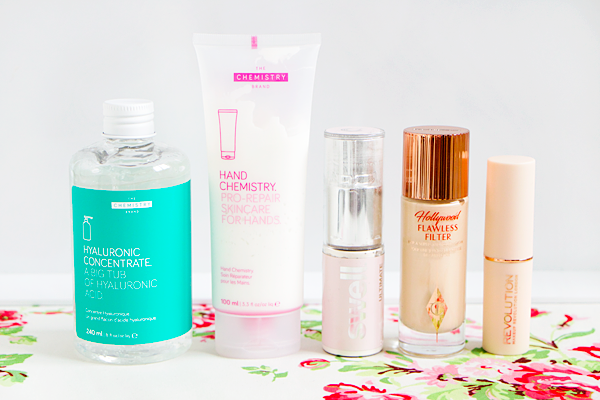 They kindly demonstrated both products on my skin in store but I still couldn't decide which one I liked best. Thankfully they gave me a sample pot of Magic Crystals so I could test it out properly at home. I'm a big fan of Lush's body scrubs because they use salt as a base & always have the most gorgeous scents. 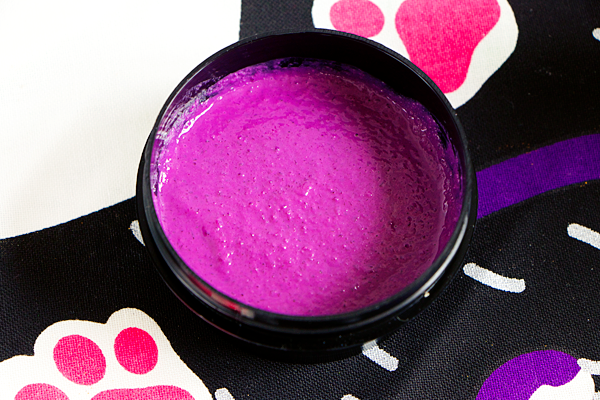 Magic Crystals is really special because of the bright purple colour, it definitely looks like something a witch would brew up in a cauldron. The scrub smells strongly of mint with a hint of aniseed. 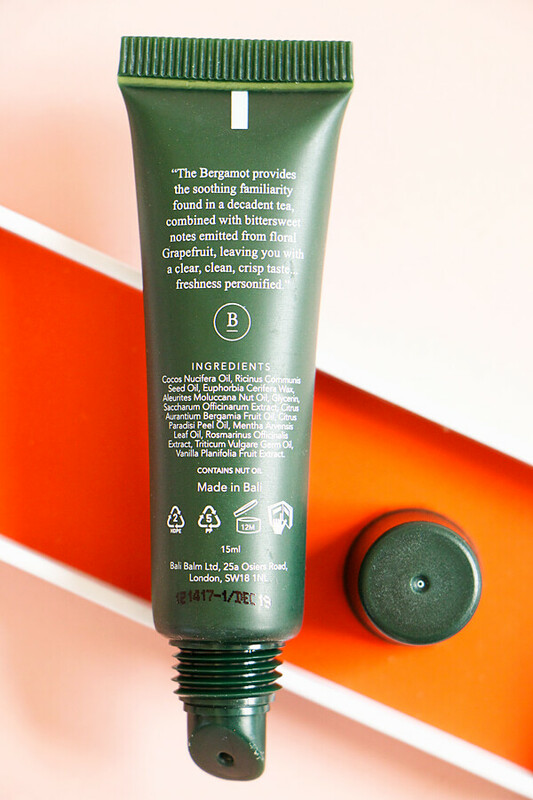 It features menthol crystals, spearmint oil & peppermint oil for a really refreshing polish that will make your skin tingle all over. 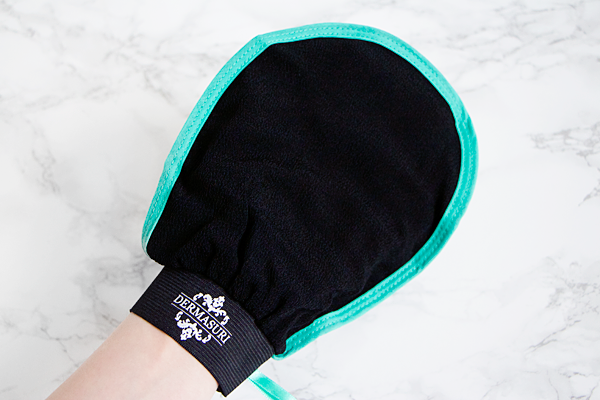 The scrub is made from fine sea salt & Epsom salts so it's great for rubbing over your muscles after the gym. They've also infused the scrub with fresh rosemary & sage which have antimicrobial properties to help cleanse the skin. 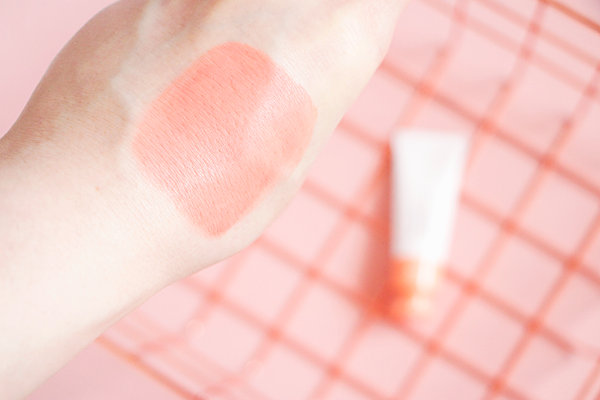 The consistency of this scrub is quite thin but this means that you only need to use a little bit each time. 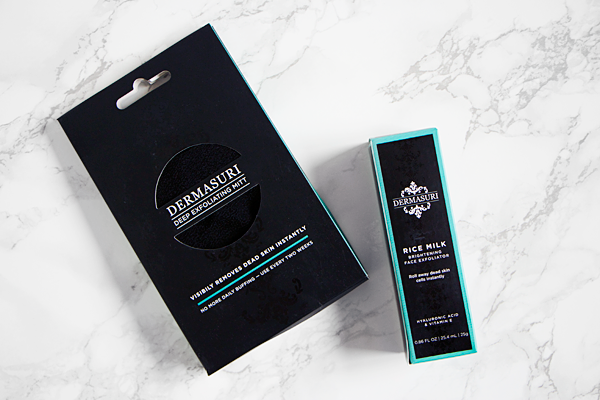 Magic Crystals leaves my skin feeling soothed, soft & tingly fresh so this mystical minty blend is well worth trying out. Even though I loved how incredibly soft Magic Crystals made my skin feel, I eventually decided to purchase a full size pot of Scrub Scrub Scrub. The juicy blackcuurant scent was utterly irresistible & is very similar to the fragrance of their Comforter bubble bar. In the pot it kinda smells like Wine Gums but the full fruity power is unleashed once you apply it to your skin. 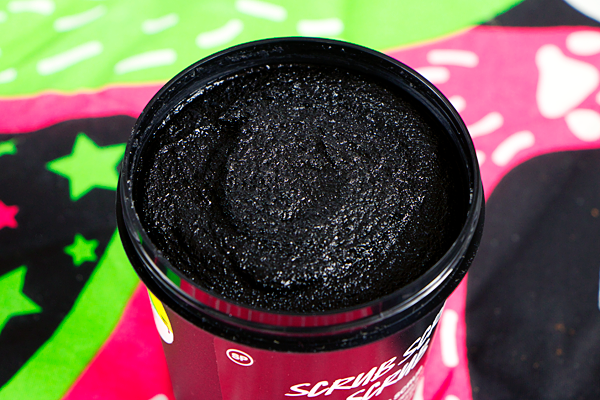 Scrub Scrub Scrub is a great release for Halloween because the pitch black colour is certainly a bit spooky. 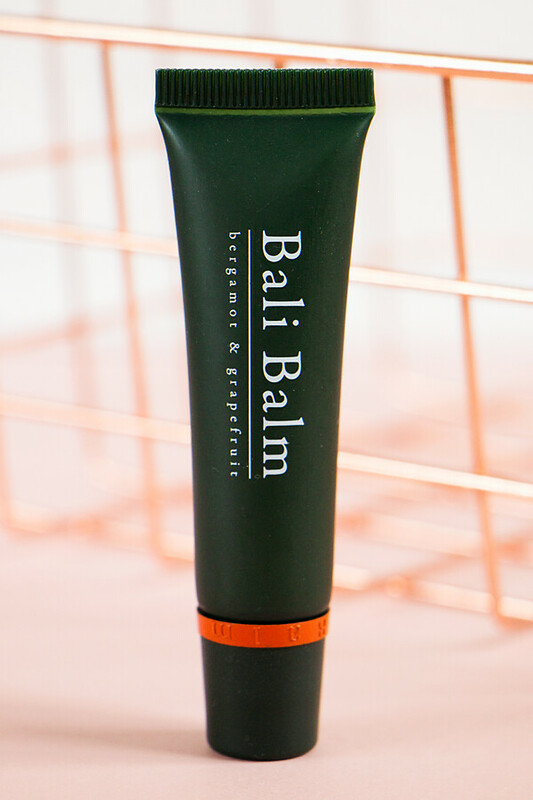 The scrub is black because it contains powdered charcoal as well as fine sea salt so it does a brilliant job of exfoliating your skin. 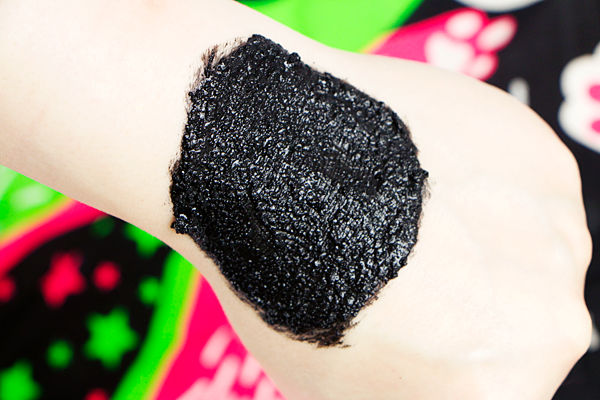 Charcoal deeply cleanses the skin, absorbs excess oils & has antibacterial properties. The dark crystals are also infused with toning rosemary, grounding pine & refreshing buchu oils. 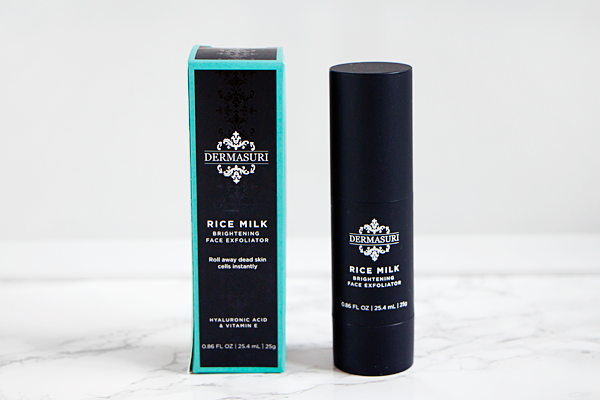 It gently polishes & buffs away dead skin cells, leaving your whole body feeling baby soft. The consistency is much thicker than Magic Crystals but again a little goes a long way. The gorgeous blackcurrant scent really lingers on the skin & transforms your bathroom into a magical place. The only thing that's not so magical about this product is the mess it leaves behind in the shower. Cleaning up afterwards is a small price to pay for the beautiful fragrance & wonderfully soft skin. 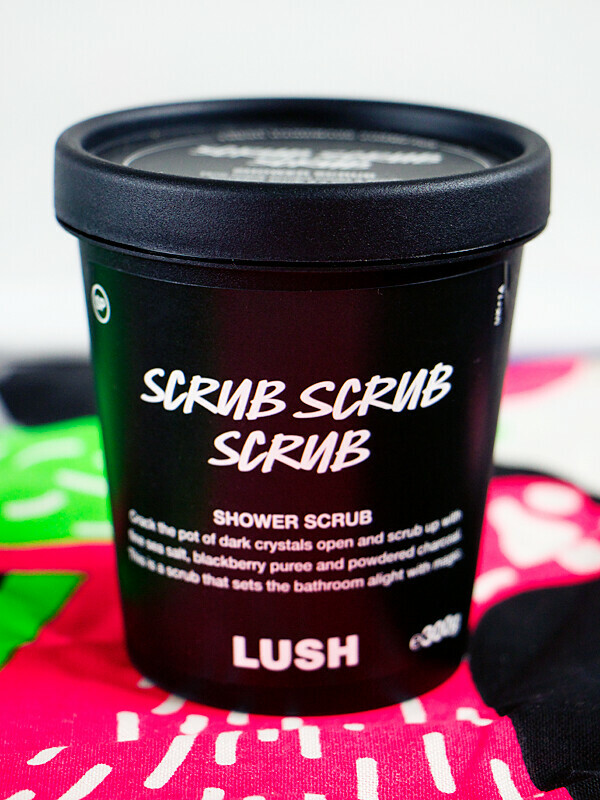 This is one of Lush's very best body scrubs & if you're a fan of The Comforter, you will absolutely love Scrub Scrub Scrub! 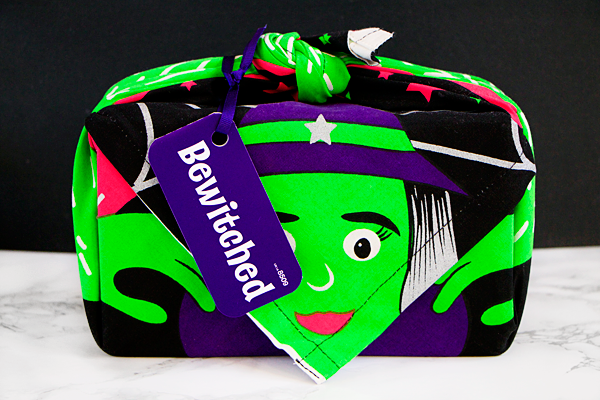 Lush sell lots of different knot wrap designs but this one is exclusive to the Bewitched gift set. 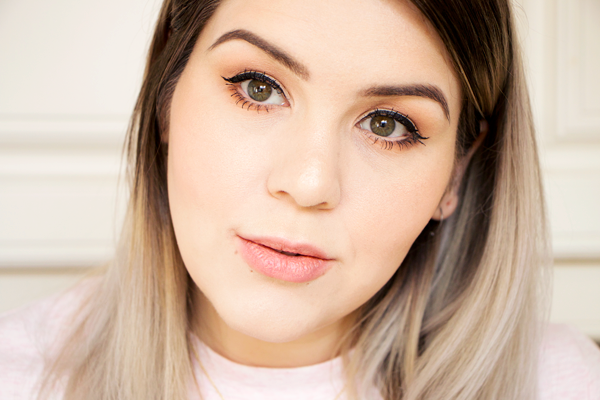 Witches & cats aren't just for Halloween so I'll be more than happy to use it all year round! It's made from 100% organic cotton & is the perfect gift wrap alternative. We waste so much paper when wrapping presents so this long-lasting, reusable packaging is an awesome addition to this gift set. 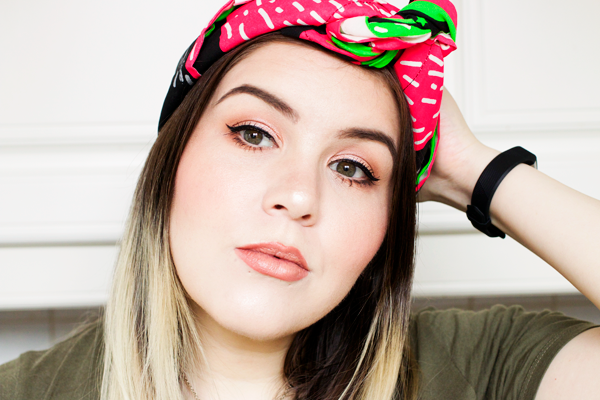 You can reuse it as a scarf, a bag or a tea towel but my favourite way to wear a knot wrap is as a cute & quirky headband. 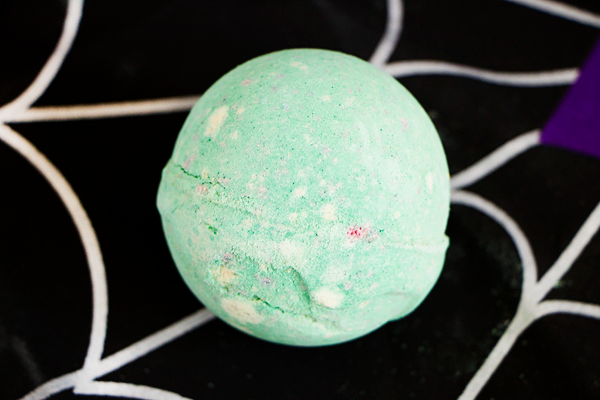 I love the neon green & pink colours which complement the Lord Of Misrule bath bomb. 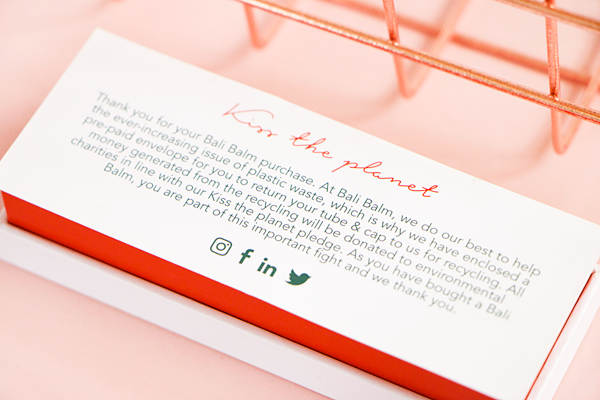 It's a great way to brighten up any outfit & do your bit for the planet at the same time. Aromatherapy is a powerful thing. Different scents have the ability to stimulate the mind & body, impacting on our overall wellbeing as well as our state of mind. Just a hint of a particular aroma can conjure old memories or make you feel a certain way. While I don't believe in aromatherapy as an alternative to traditional medicine, I definitely think that it's an effective tool for managing stress, anxiety & depression. 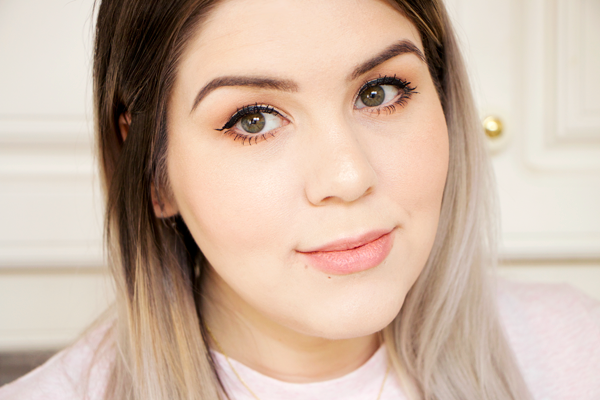 Today is World Mental Health Day & as someone who really struggles with anxiety and depression I thought it would be useful to share how I use aromatherapy as a form of self-care. I'm trying hard to build up my resilience to everyday stresses & I've found that practicing different relaxation techniques helps me to cope with my anxiety. Aromatherapy comes in many forms. You can use an essential oil diffuser, room sprays, burn candles, perform aromatherapeutic massage or use pulse point roller balls. 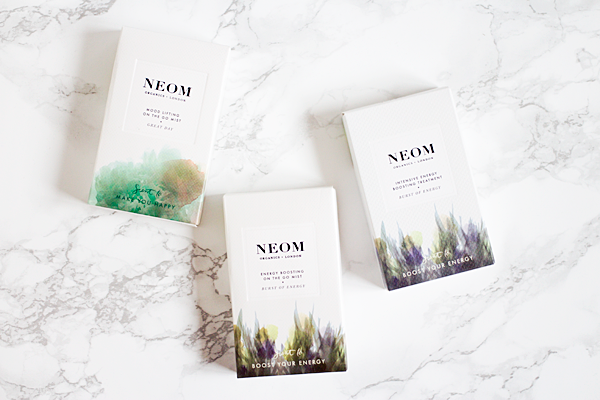 Sometimes I want to reward myself with a more luxurious form of aromatherapy & that's when I bring out a selection of goodies from Neom Organics. They have a whole range of products designed to have different effects on your wellbeing through the power of aromatherapy. All of their fragrances are 100% natural & made from blends of the purest essential oils. They smell simply divine & most certainly live up to their name as scents to make you feel good. When I'm on the go I always carry aromatherapy products in my backpack to help soothe my mood or boost my energy. It can be especially useful when travelling via public transport as you never know what your nostrils will encounter on your journey! 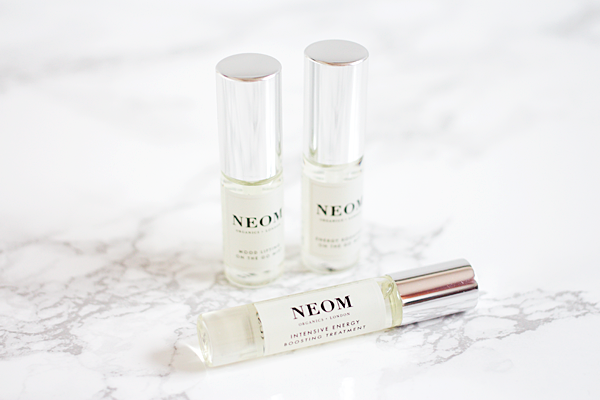 I love these little sprays from Neom because you can use them to spritz your own skin as well as the air around you. Spray the bottle upwards & let a scent cloud rain down upon you. Take this time to breathe deeply, allowing yourself to relax whilst inhaling the wonderful fragrance. 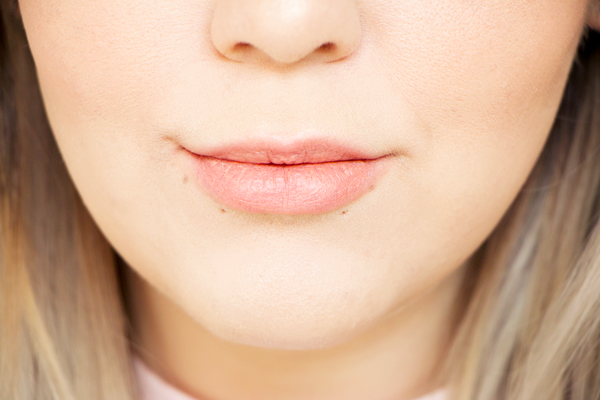 This simple act can create a great moment of calm during a stressful day. 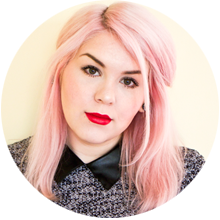 My favourite sprays are the Mood Lifting On The Go Mist & the Energy Burst On The Go Mist. The Mood Lifting Mist features their signature Great Day fragrance made from a blend of eight essential oils, the most prominent of these being wild mint & mandarin. It has been specifically created to help lift your mood & calm the body. The scent is really fresh & instantly makes me feel a bit brighter. This is my go-to when I'm really stressed out & desperately need something to help me relax. It might sound weird but the smell instantly transports me to a happy place that helps me to get through the rest of the day. When I'm going through a period of depression even the smallest things can seem overwhelming & use up all of my energy. Drinking loads of coffee or other stimulants can often make things worse so I prefer to use something more natural. The Energy Burst Mist does the job brilliantly with it's expertly created blend of seventeen energising essential oils. Citrus scents always make me feel more refreshed so I'm a big fan of this sparkling grapefruit, lemon & rosemary concoction. This glorious fragrance helps to invigorate the body, sharpen the mind & give you that much needed boost of energy. It immediately perks me up & motivates me to do everything I need to do when I'm feeling down. If you want something a bit more discreet then I highly recommend the Intensive Energy Boosting Treatment. 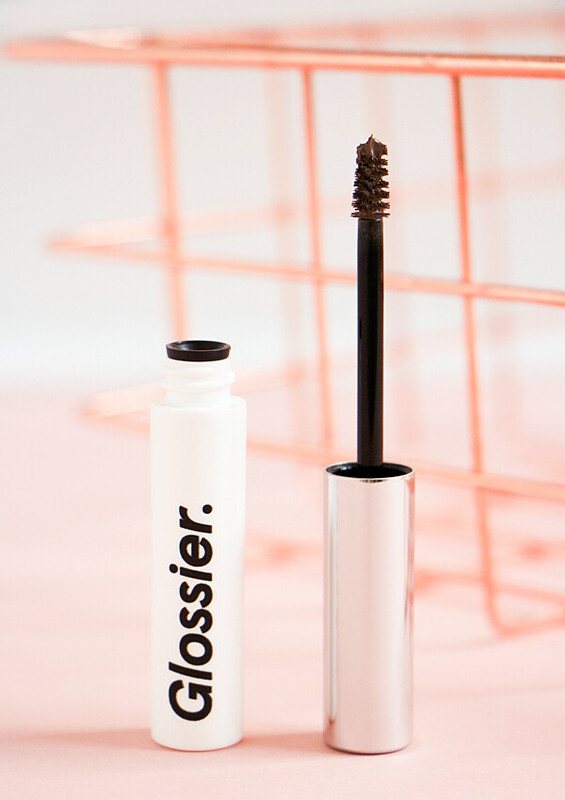 It features the same fragrance blend as the Energy Burst Mist but in a roller ball format. 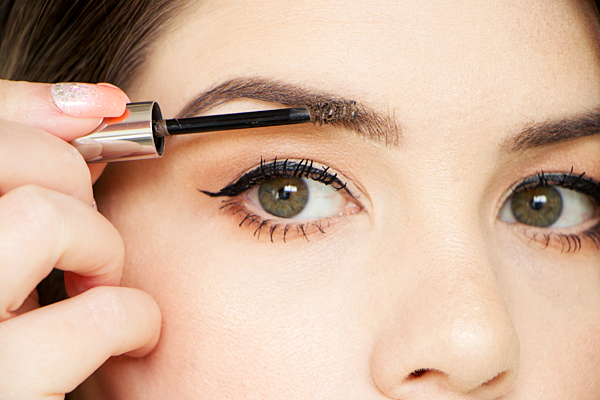 You can use them individually or together for an even more intense experience. To activate these therapeutic oils simply roll it over the pulse points on your wrists, temples & behind your ears. Organic coconut oil is used as a base for the essential oils so it feels really lovely as you massage it into your skin. Aromatherapy is often said to be most effective when focusing on pulse points so this will ensure you get the most benefits out of the highly potent Burst Of Energy fragrance. I'm very obsessive about washing my hands, to the point that I've sometimes made the skin cracked & sore! I hate getting sick & germs in general so I wash my hands a ridiculous amount of times every day. 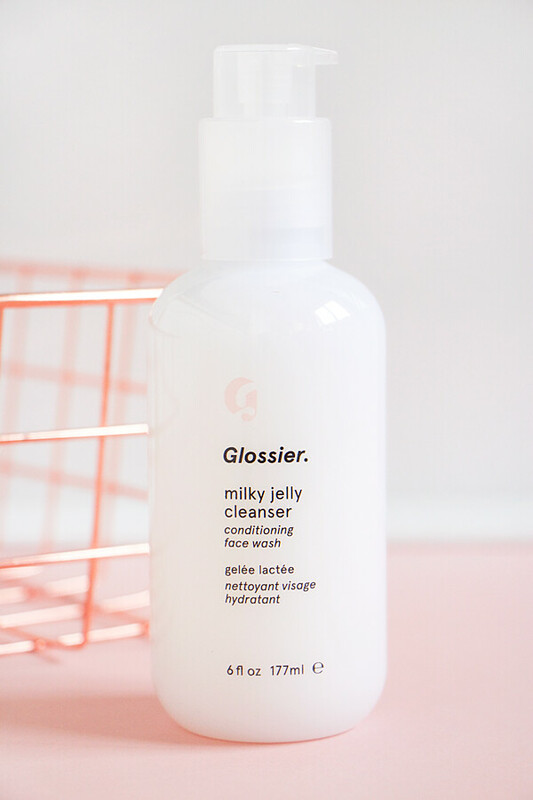 When you wash your hands as often as I do, it's important to use something that will gently cleanse & leave your skin feeling soft. I always try to find something with a wonderful scent too because if something smells good, I automatically associate it with being clean. 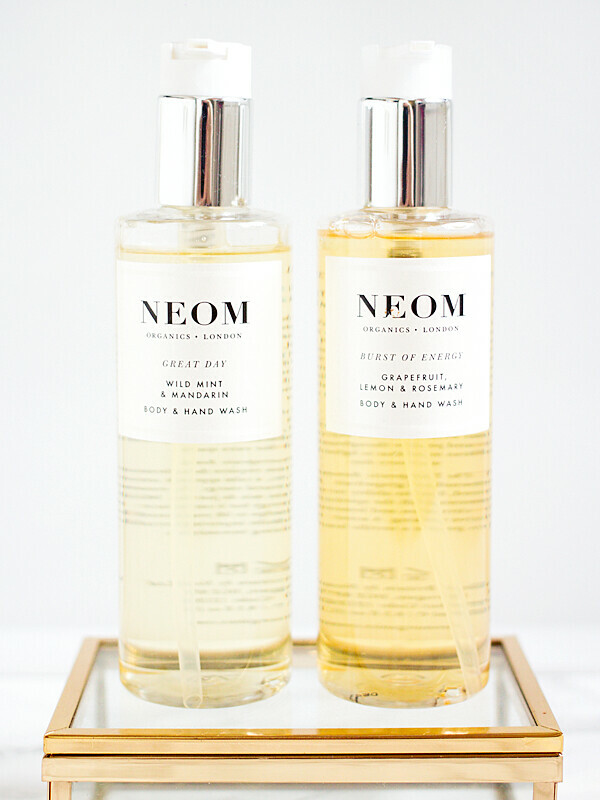 I picked up the Great Day Body & Hand Wash as well as the Burst Of Energy Body & Hand Wash from Neom. They feature the same two scents as the On The Go Mists so you can continue to surround yourself with these fragrances even when washing. You can use them as a regular shower gel or as a hand wash. Personally I prefer to use Burst Of Energy in the shower & Great Day as hand soap but they're both fantastic for either purpose. These soaps are packed with mineral rich Japanese seaweed, anti-oxidising pomegranate & soothing aloe vera for clean, soft skin. The scents linger for ages in the bathroom as well as on the skin. They're both really uplifting & promote positive thoughts so washing with these products is always a great way to start the day. One of my favourite things to do at this time of year is to get cosied up in bed with my snuggly dressing gown, a good book, a large cup of rooibos tea & bask in the soft glow of a candle. It's such a simple ritual but it feels weirdly indulgent. 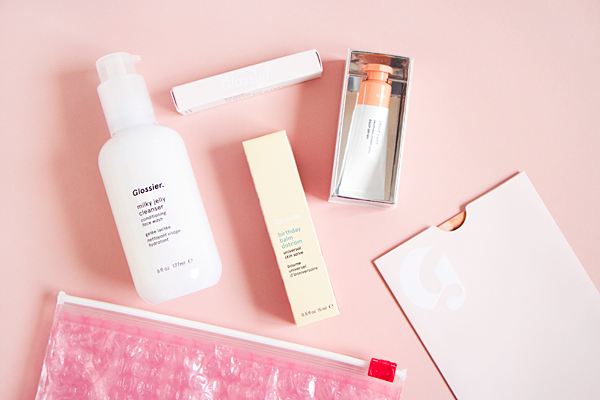 A relaxing bedtime routine such as this is one of the best ways to combat nighttime anxiety. 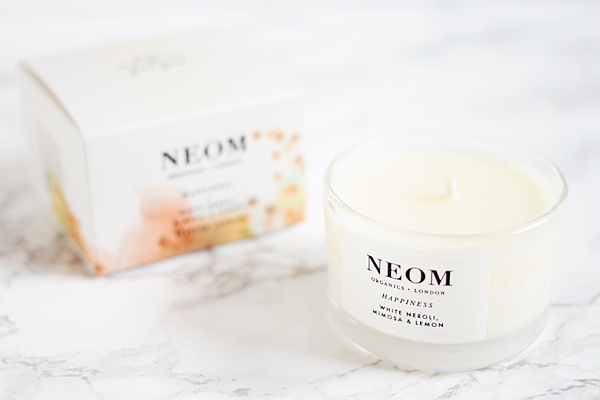 Pricewise, Neom's treatment candles are definitely in the luxury category. Their travel candles are a great choice if you want to try them out but don't want to spend nearly 50 quid on a candle. I purchased the Happiness Travel Scented Candle which provides 20 hours of burn time for £16. The candles are hand poured using 100% natural vegetable wax & there's a massive 14-18ml of essential oils in each one. 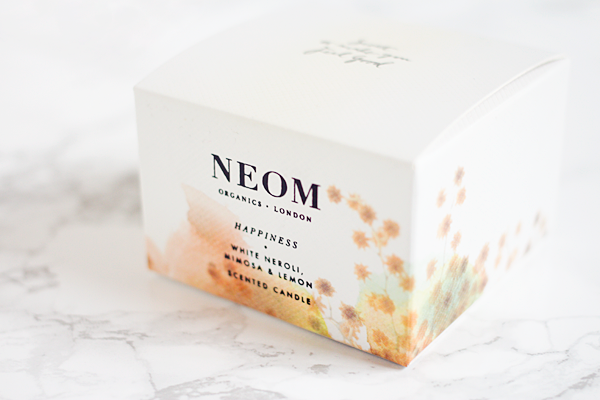 I think that Happiness might just be my favourite out of all the Neom scents! 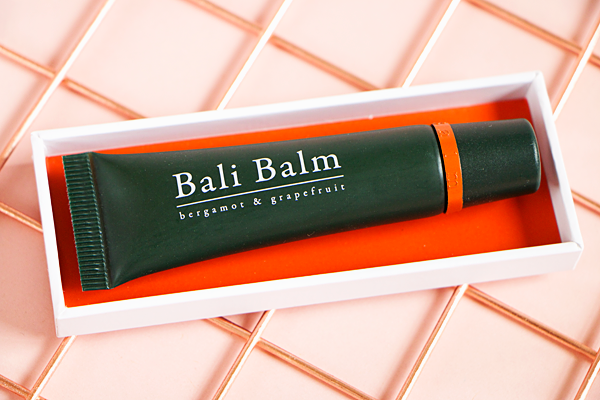 It features a complex blend of seven fresh, first pressed essential oils including neroli, mimosa & lemon. 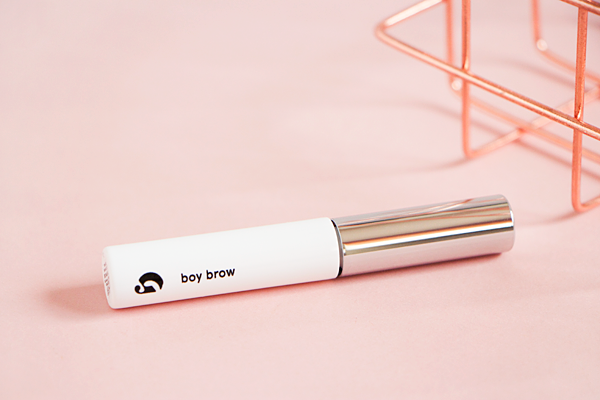 There's also natural fresh grass notes to evoke the scent of a fresh Spring morning. 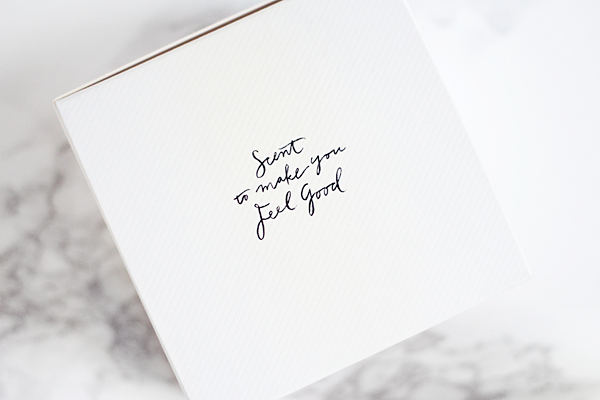 This fragrance has been designed to help you balance your emotions & feel more positive. The clean, floral aroma completely fills the room with joyful, mood-elevating fragrance even when not lit & is the perfect accompaniment to these dark Autumn nights. Every time I catch a whiff of this candle it literally makes me feel happier & I feel like it makes my home a happier place too. 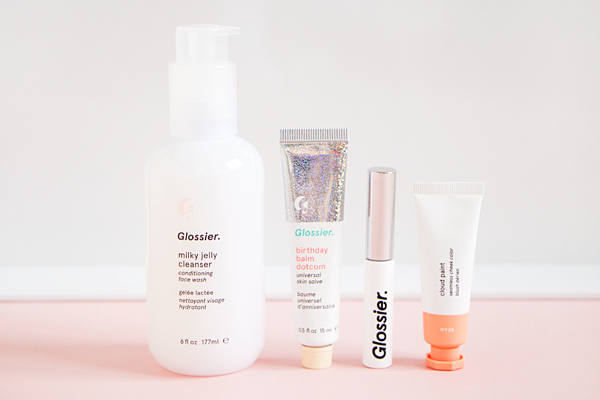 I can't get enough of this treatment candle & the three wick version is currently top of my wishlist!